One of my first major projects at OtterBox was to redesign their corporate/e-commerce site. I was able to completely rework the product detail page to showcase the product better and improve site usability. I worked with the web team at OtterBox to make sure we weren’t sacrificing SEO and other web metrics as well as making sure the new design functioned properly with the backend architecture already in place. 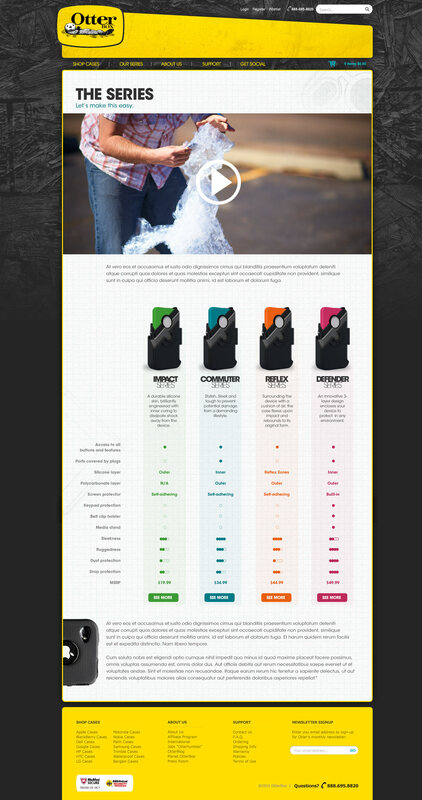 The page shown here was part of a third redesign phase which re-imagined not only the navigation interface, but also explored giving customers a better perspective on which product was right for them.